wow ! perfect and delicious Joyce! I love apricots so much!! 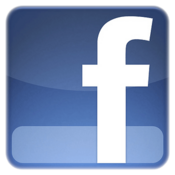 This reciples is to me! Delicious! I am always a fan of sheet cake..easy to make and very delicious. Looks pretty and sounds very good, Joyce! Apricots are so good and the cake would be easy to make. Thanks for the recipe! 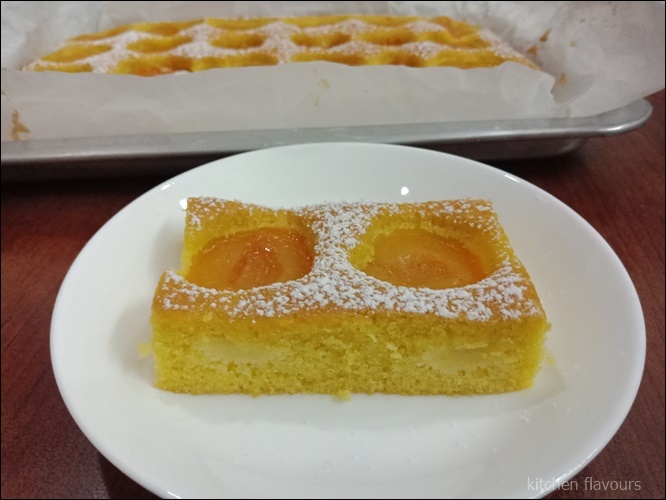 It's been long time I haven't use apricots in baking. 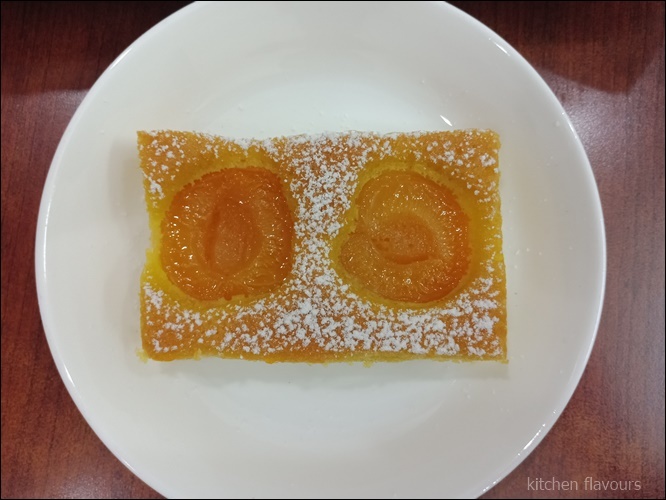 Lovely apricot sheet cake you have baked. YUM! I'm so glad this works well with canned apricots---as we rarely get decent fresh around here. Such a lovely cake!